An absolutely intriguing movie is Niagara (1953) with Marilyn Monroe and Joseph Cotton. It is a suspense thriller with Niagara Falls setting a dramatic backdrop. 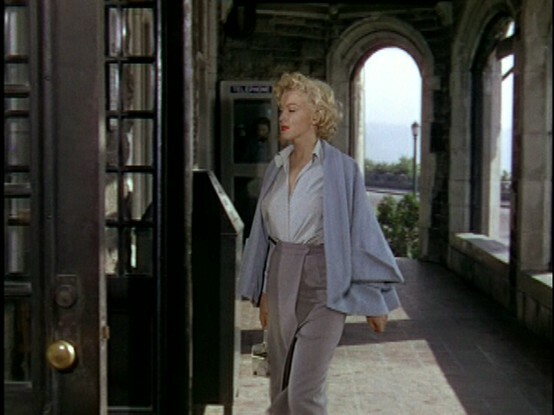 One of the outfits that caught my attention was the wrap skirt and swing jacket that Rose (Monroe’s character) wears to the bus station to get tickets to Chicago. That outfit always looks so lovely and elegant. 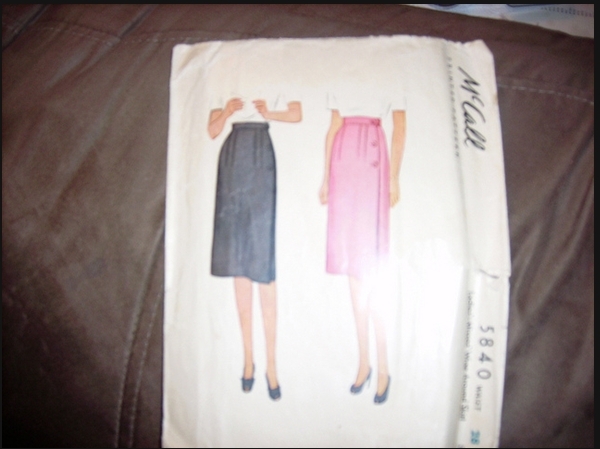 So after looking at the pattern (McCall’s 5840) closer and watching the movie many times, this skirt was still stuck in my imagination. While looking at the local fabric store one night, I came across this wool blend at ½ off. The grey is such a similar color as the skirt in the movie that I knew it was destined to be my version of the wrap skirt in Niagara. 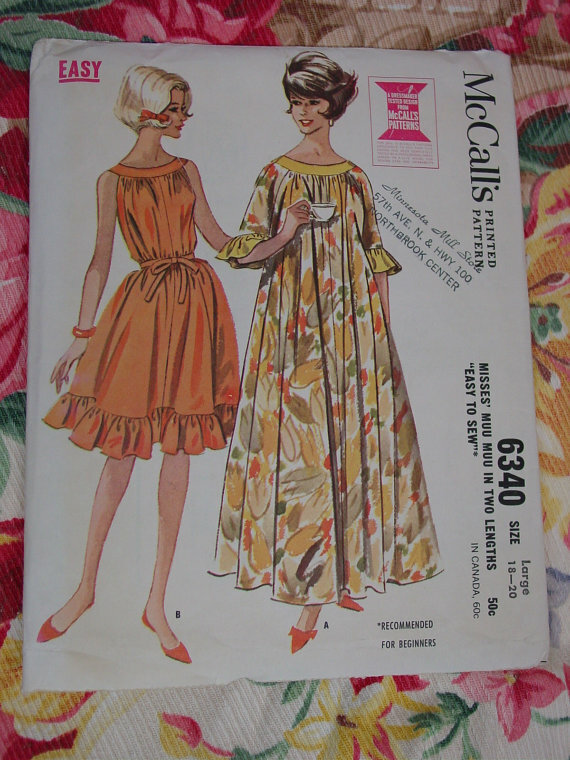 After finishing the wrap-around skirt and the 1960’s straight-line dress for the Vintage contest for pattern review, I decided since I still had a week left before the contest deadline, I would go ahead and work on this pattern for the Vintage contest also. 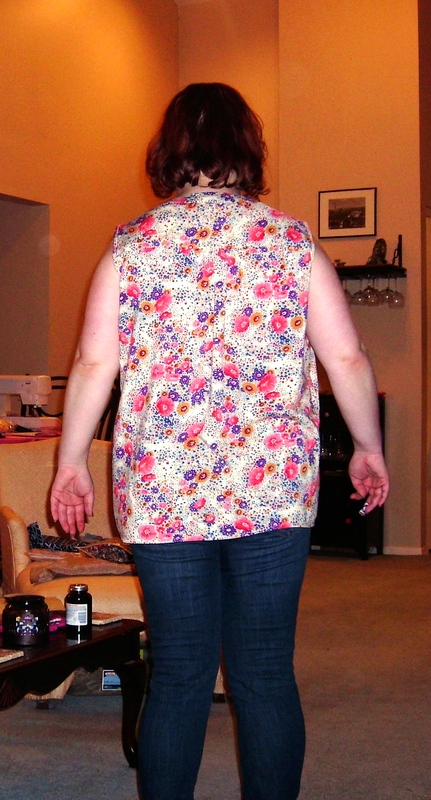 It looks fairly simple right with 6 darts, 4 seams, waistband and such? 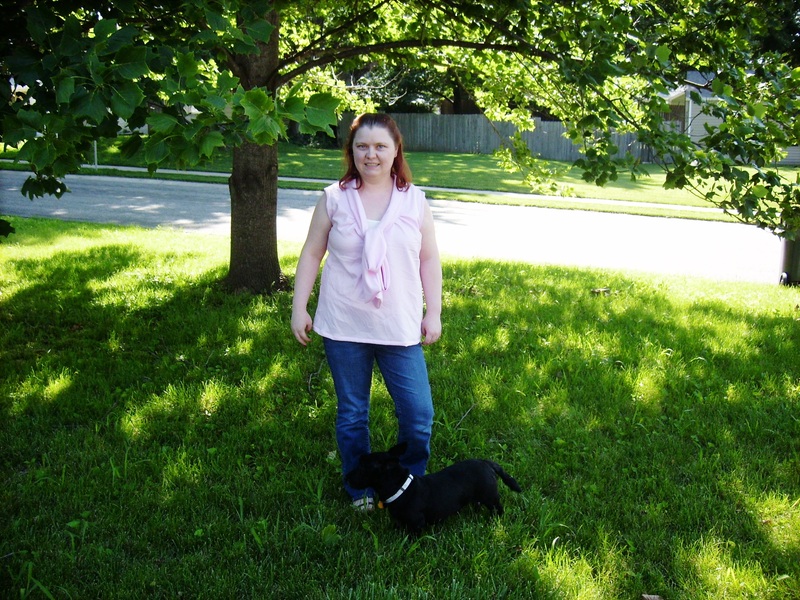 I had to take about 6 inches off the bottom of the hem. 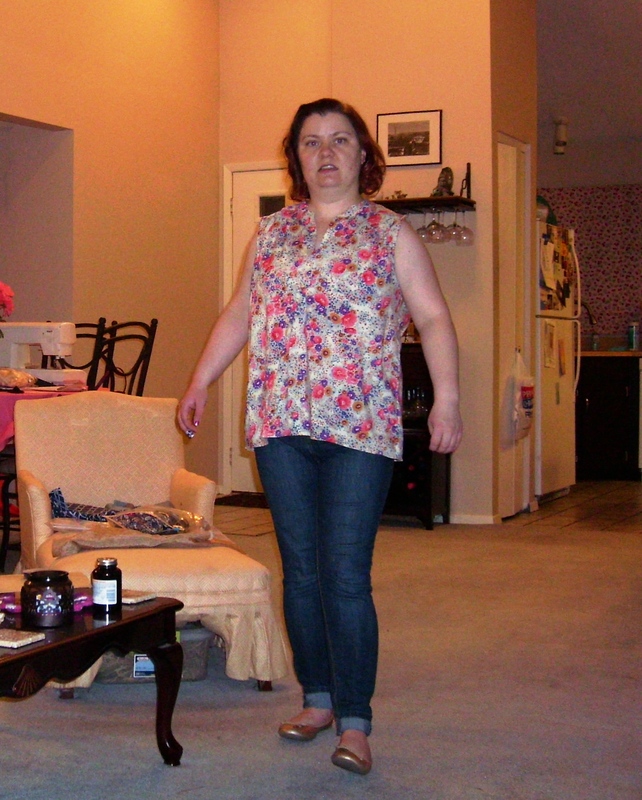 Also, I hemmed it another 4 inches. 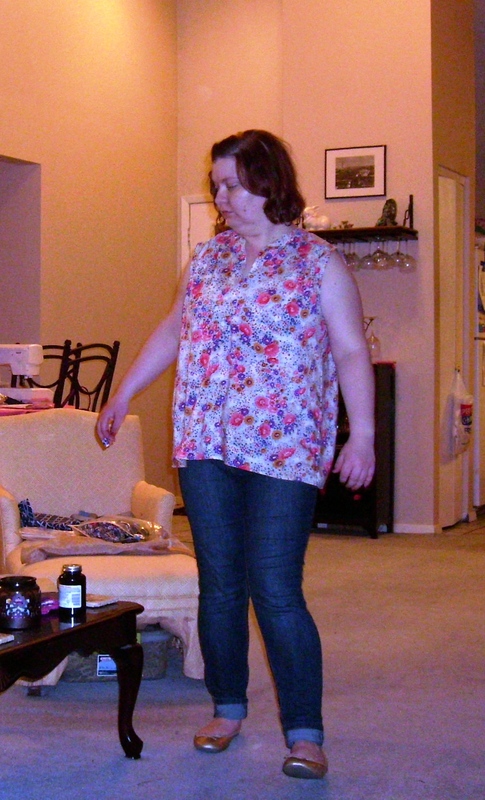 I added about 4 inches to the waist since the original pattern was too small. 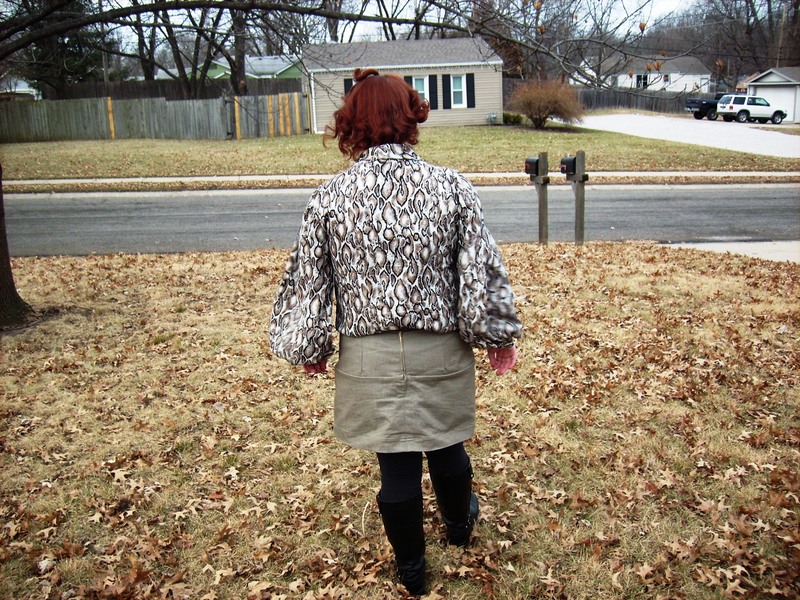 The closure is 4 snaps; 2 snaps in the waistband and 2 snaps in the front side. 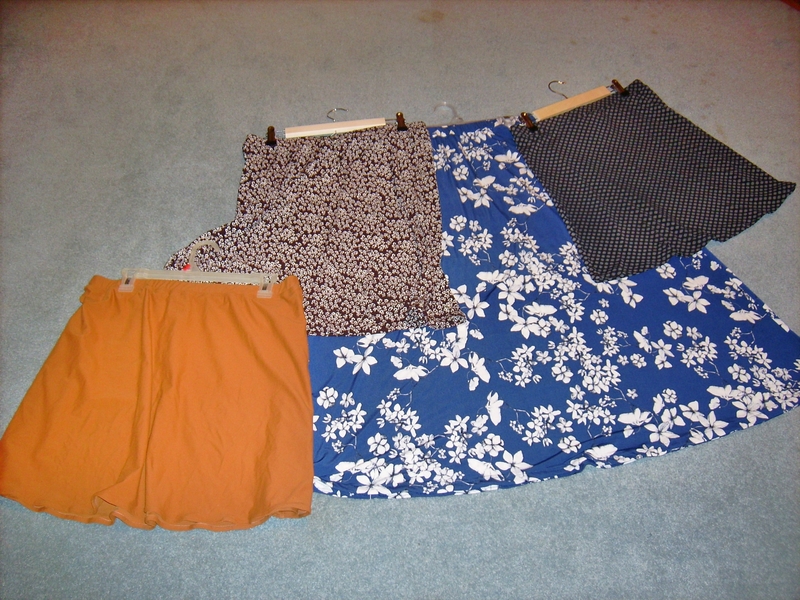 I think I may end up going back and adding an additional snap in the waistband. 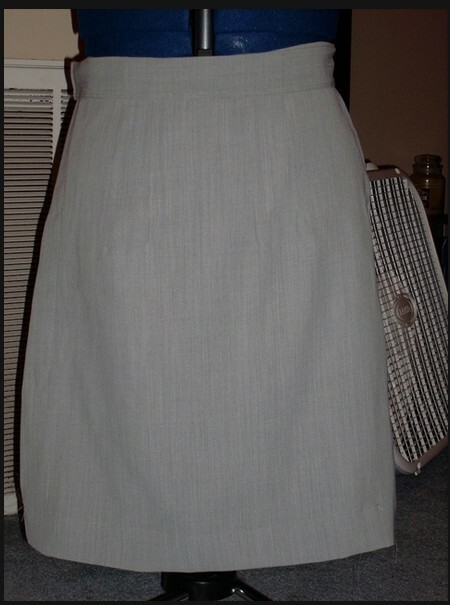 A wrap skirt just seems to scream that it requires French seam (or am I the only one who thinks that). 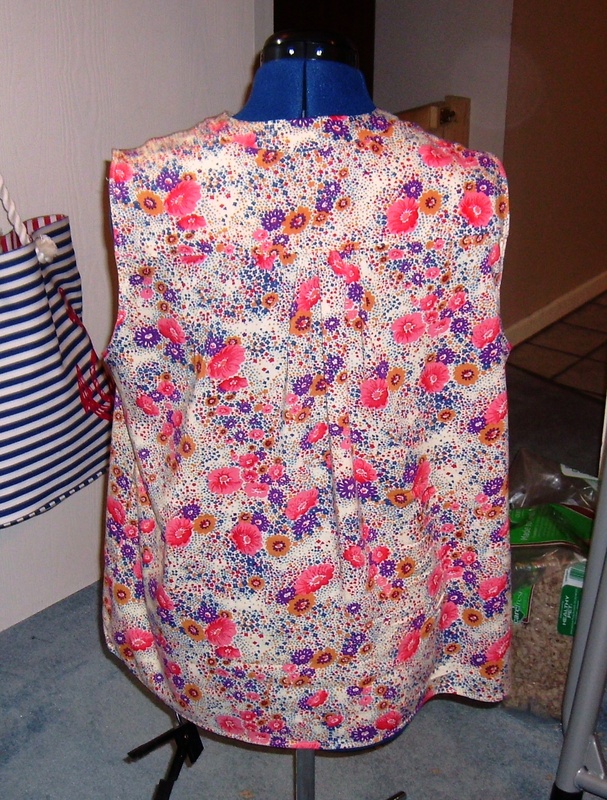 So after serging the outside edges of the pieces, I went ahead and started to assemble the back of the skirt with French seams at my parents’ house. That means I was using a sewing machine (1970’s Singer Stylist 417) I wasn’t comfortable with yet. (I had picked it up over the summer at a garage sale for $45 with the table so I had a machine at my parents. 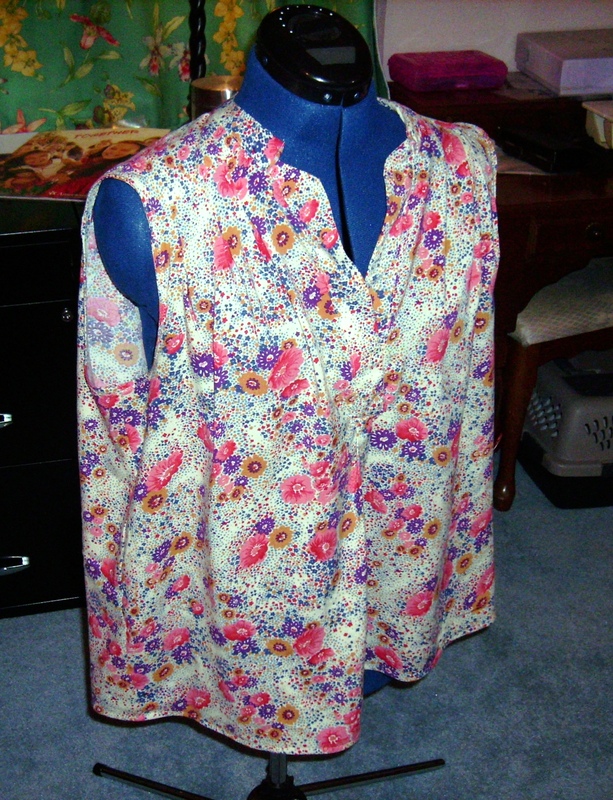 In January it went to the sewing machine doctor to get fixed since it hadn’t been used too much and needed some TLC.) So the French seams really lend to the polish look of the garment. 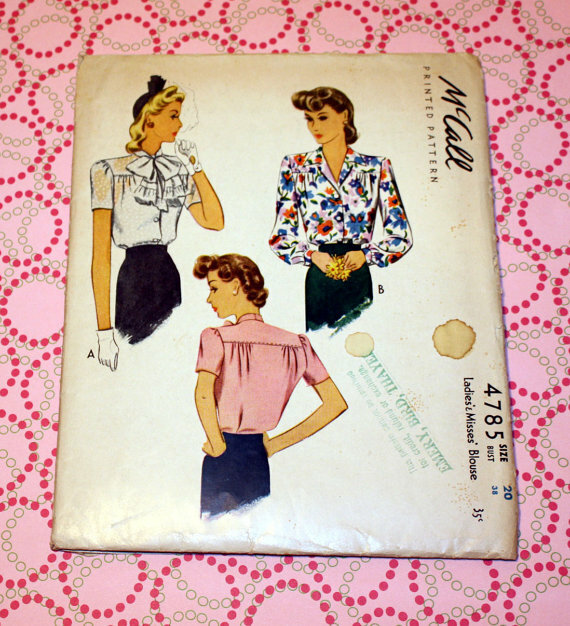 The pattern envelope didn’t look as A-line as the skirt came out. I was wanting more of a pencil look to replicate the skirt in “Niagara”, but the A-line looks fine. 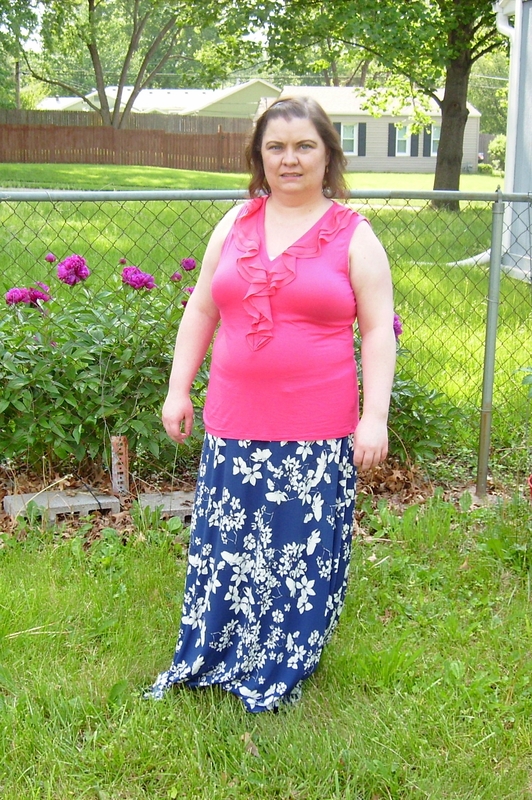 I still have a nice classic style of skirt.